Early 1900s The Deeney family purchases property adjacent to Martin’s Beach. Early 1920s The Deeneys lease Martin’s Beach to the Watts family, who manage the beach and visitor amenities. begin allowing visitors to drive down to the beach. 1976 The California Coastal Act is enacted. Underpinned by the Public Trust Doctrine, the act seeks to protect and maximize public access to the coast, amongst other things. 1991 The Deeneys assume control of managing Martin’s Beach and continue the practice of allowing people to visit, mostly during the summer, in exchange for a parking fee. May 2008 With regard to public access at Martin’s Beach, San Mateo County Planning and Building Department tells Steven Baugher, manager of Martins Beach I and II, LLCs, that public access has existed and that it will need to continue to be preserved. Notably, this communication occurred prior to purchase of the property. 2008 The Deeneys sell two parcels of land adjacent to Martin’s Beach to billionaire Vinod Khosla, who acquires the land under the names Martins Beach I, LLC and Martins Beach II, LLC. He pays $32.5 million for the property, which totals 53 acres. (The price of the acquisition has long been reported as $37.5 million. However, Martins Beach LLC property manager Steve Baugher clarified the price during trial.) This land encompasses Martins Beach Rd, which is the only access way between Highway 1 and Martin's Beach. At this time, the beach continues to be accessible to the public, and it is not public knowledge that Khosla is behind the LLCs. 2010 After two years of complying with San Mateo County's request to maintain access to the beach, Martins Beach LLC permanently locks the gate to the public. Visitor logs show 1,044 vehicles visited Martins Beach from July 2008 to September 2009. Aug. 3, 2011 Mike Wallace and Edmundo Larenas of the Surfrider Foundation San Mateo County Chapter pen and send a letter to Vinod Khosla, who was then only speculated as the property owner, to ask that he consider restoring public access to Martin’s Beach. Sept. 12, 2011 Over a month after the initial letter was sent, a response to the chapter’s letter to Khosla is received from Joan Gallo of Hopkins & Carley, LLP. It states that “once the fundamental legal question is resolved [by the courts], I will be happy to discuss access arrangements” and asks that the chapter “respect Mr. Khosla’s privacy.” Chapter sends a reply letter to Ms. Gallo, again requesting that Mr. Khosla consider discussing restoration of public access. No response is received. July 2012 Rally to Open Martin’s Beach is held. Five surfers walk down Martins Beach Rd. to surf at Martin’s Beach. While there, they are stopped by the San Mateo County Sheriff and cited for trespassing. Their story is captured in a short documentary film by The Inertia and filmmaker Richard Yelland entitled Martin’s 5: Battle for the Beach. Feb. 7, 2013 Martin’s 5 are arraigned and judge finds that there is insufficient evidence to prosecute. The charges are dropped and the San Mateo County Sheriff’s Office states that people seeking to access Martin’s Beach will not be prosecuted until the access issue is formally resolved. Spring 2013 Judges deny requests by Khosla's attorneys to issue temporary restraining orders to keep the public off the beach while trials are under way. Nov. 2013 Surfrider launches a public letter-writing campaign to Khosla, asking him to begin a dialogue with the community regarding public access to Martin’s Beach. 1728 letters have been sent to-date. Feb. 10, 2014 California State Senator Jerry Hill (D – San Mateo) introduces SB 968, a bill aimed at restoring public access to Martin’s Beach. The bill directs the State Lands Commission to negotiate a right of way or easement from the property owner to facilitate public access to Martin’s Beach. If access cannot be negotiated by 2016, the Commission may acquire the land using other mechanisms, such as eminent domain. May 2014 Khosla is required to testify in the Surfrider trial. During his testimony, he says he cannot recall important details relating to the purchase, use, or management of the property. (Full testimony can be viewed here: http://www.mercurynews.com/news/ci_26132020/document-vinod-khoslas-testimony-martins-beach-trial) This is the first and only time Khosla has publicly discussed Martin’s Beach to-date, as of this date. July 16, 2014 Closing arguments of Surfrider Foundation v. Martins Beach I and II, LLCs. Aug. 21, 2014 SB 968 (Hill) passes through the California State Legislature. Sept. 24, 2014 San Mateo County Superior Court Judge Barbara J. Mallach tentatively rules on Surfrider Foundation v. Martins Beach I and II, LLCs and finds that Khosla has indeed engaged in unpermitted development, which requires a coastal development permit. Dec. 5, 2014 Judge Mallach issues Final Order to cease unpermitted development and open the gate to Martin's Beach Rd. Dec. 21, 2014 First report of gate being opened in response to court order. Unfortunately, subsequent accounts reported the gate open only periodically. Jan. 1, 2015 Senate Bill 968 goes into effect: stating the State Lands Commission and Khosla to negotiate beach access by December 31, 2015. Feb. 6, 2015 Judge Mallach denies request for a trial. Feb. 13, 2015 Attorneys for Martins Beach I and II, LLC file a Notice of Appeal of San Mateo County Superior Court decision on Surfrider Foundation v. Martins Beach I and II, LLC, and seek to close the beach citing evidence visitors have trespassed, vandalized the gate and even made death threats against the property manager. 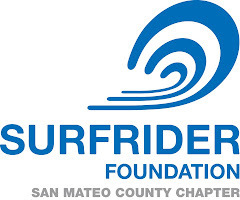 July 20, 2015 Surfrider Foundation holds public workshop to solicit input from public on public access preferences with concern to Martin's Beach and ongoing efforts to secure public access to the beach. A summary report from the workshop can be found here. Oct. 15, 2015 California State Lands Commission makes an offer to purchase an easement from Vinod Khosla. Offer is not responded to, but counter offer to "trade" for another public beach in California is put on the table by Khosla. Nov. 23, 2015 Opening brief filed with the California 1st District Court of Appeals by attorneys for Martins Beach I and II, LLC. Dec. 31, 2015 Last day required for formal negotiations between California State Lands Commission and Vinod Khosla before the Commission may consider alternative means for acquiring an easement to facilitate access to Martin's Beach.